In Bad Words, the misanthropic Guy Trillby (Jason Bateman) abuses a loophole to enter a national spelling bee for children. Aided by a female reporter, Jenny (Kathryn Hahn), and befriending a fellow contestant (Rohan Chand), Trillby flexes his photographic memory to hijack the bee to the dismay of parents and the bee’s director, Dr. Bernice Deagan (Allison Janney). The film is Jason Bateman’s directorial debut, and he directs confidently with an eye toward pacing and timing over style. He is also singularly talented to play Trillby, as few actors could be as charismatic playing a thoroughly unlikeable character. The first two thirds of the film are a riotous joke factory, mostly because it’s so much fun to watch someone let their mean impulses run wild. The jokes themselves are mostly predictable, but similar to slapstick, well-executed shock humor is always funny. The film generates a decent amount of laughs, but not enough to carry the entire film. The story peters out toward the end, with the outcome telegraphed well before it actually happens. Coupled with zero character growth and no dramatic tension anywhere in the film, the entire thing feels like a hollow exercise. There are SNL bits more highly developed than Bad Words. For most of the film, Trillby’s motives are a mystery, but by the time he completely opens up about why he is undertaking this endeavor, I couldn’t have cared less. While competently directed, there are so few redeeming moments that it’s hard to recommend Bad Words. 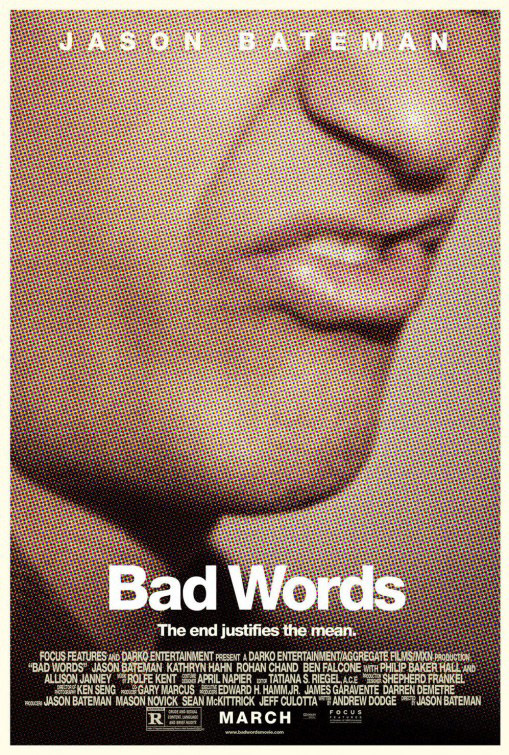 Bad Words opens today in Philly area theaters.